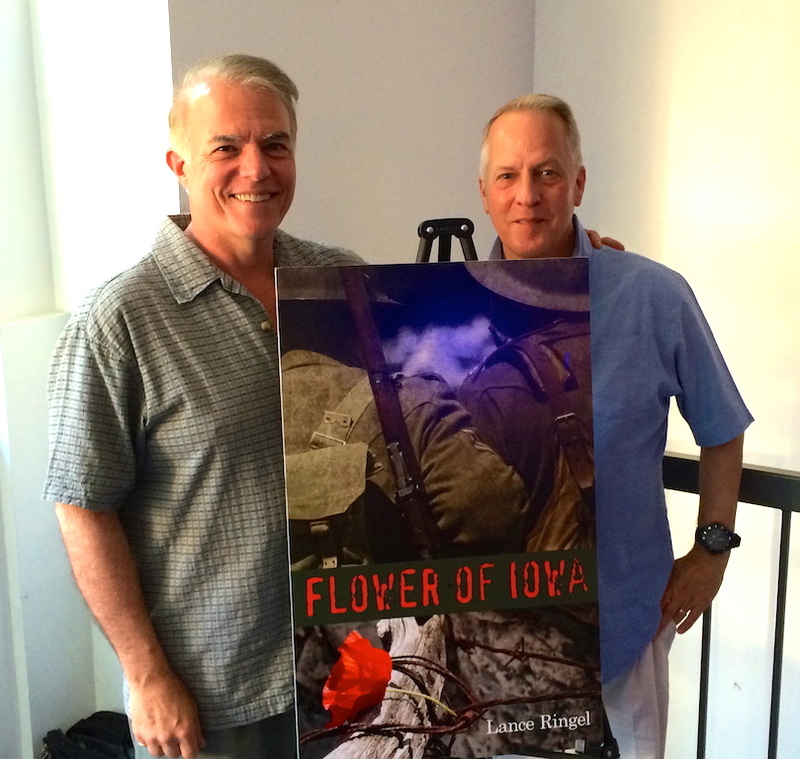 "Flower of Iowa," a novel by Lance Ringel, is a sprawling tale of battle, courage, the resilience of the human spirit and the transformative power of love. 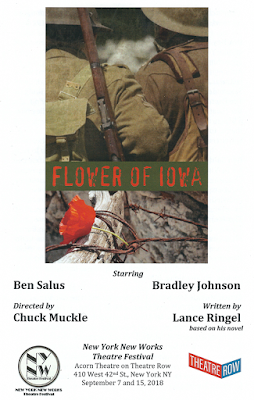 That’s been the most oft-repeated comment from audience members over the past four-and-a-half years as the love of my life, Chuck Muckle, and I presented our dramatized reading of my WWI novel Flower of Iowa across America and in Europe. And now, incredibly, it’s happened. It all started when I got an email in May from Gene Fisch, Jr., the director of the New York New Works Theatre Festival, where Chuck and I presented three productions in 2016 and 2017, making the semifinals both years. One of those works, my play In Love with the Arrow Collar Man, enjoyed a run at Theatre 80 in New York’s East Village in late 2017. Gene wanted to know if we had a 25-minute segment to submit to the 2018 Festival. Frankly, I was distracted by all that we were trying to do with Flower of Iowa in this final year of the Great War Centennial, notably securing a reading in Paris during the Gay Games. But then that persistent comment from appreciative audiences came back to me: This feels like a play. 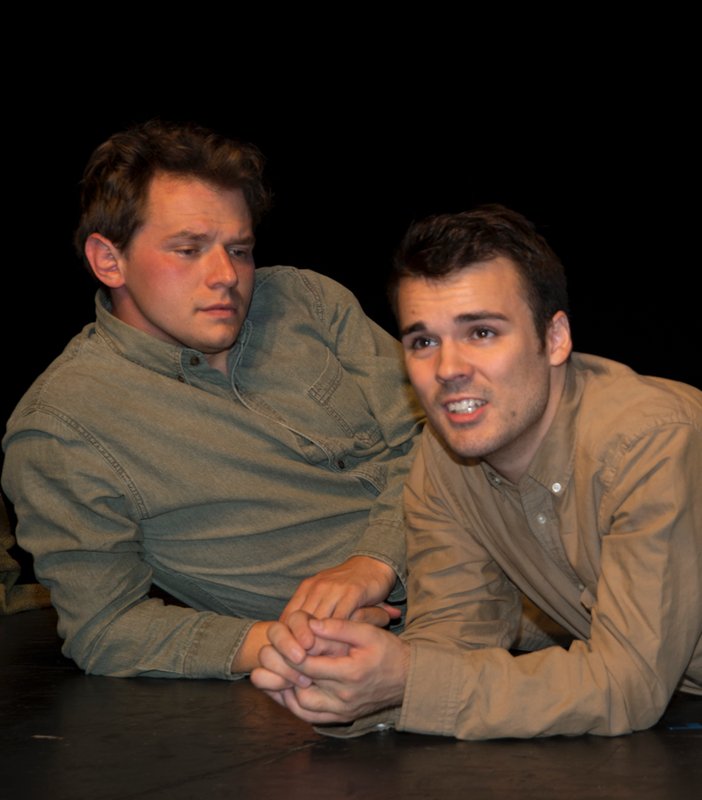 What if I adapted the saga of Tommy Flowers and David Pearson to the stage? What transpired then, like the novel itself, is history. Gene loved the idea, and the festival panel accepted the play into competition. I adapted my own words, surprising myself with how easily I could take dialogue verbatim and compress the action of the novel’s first several chapters into a short play. Chuck, who knows the book almost as well as I do, stepped up to be the show’s director. Ben Salus (left) & Bradley Johnson (right). But nothing could have prepared us for the two remarkable young actors we cast. These performers of consummate sensitivity and skill — Ben Salus as Tommy and Bradley Johnson as David — created what no production budget can buy: the ineffable chemistry that made audiences believe they were witnessing the sweetest of loves blossoming in the most nightmarish of circumstances. Their extraordinary acting was complemented by Chuck’s superb direction; he has an uncanny sense of creating spatial relationships on a bare stage. Of course, this success didn’t happen overnight. There was a lot of behind-the-scenes work. This included a journey to the wonderful TDF Costume Collection at the Kaufman Astoria Studios — a piece of Old Hollywood in Queens — to find exactly the right field caps and puttees to establish WWI authenticity. And there were inevitable disruptions. An opening night kerfuffle with projections led us to dispense with that element entirely at subsequent performances. 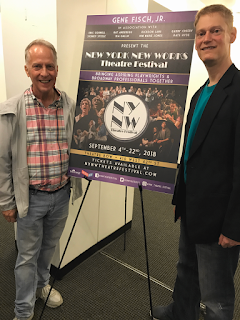 But our team efforts ultimately paid off: Flower of Iowa (the play) made the finals of the 2018 New York New Works Theatre Festival, earning accolades through three rounds of performances. Now I find myself under pressure to write a full-length stage version of the novel! That would be an intriguing challenge — but it’s just one of several options going forward. One thing is for certain, though: now that Bradley and Ben have brought Davey and Tommy so exquisitely to life in a whole new medium, the Flower of Iowa story is far from over. 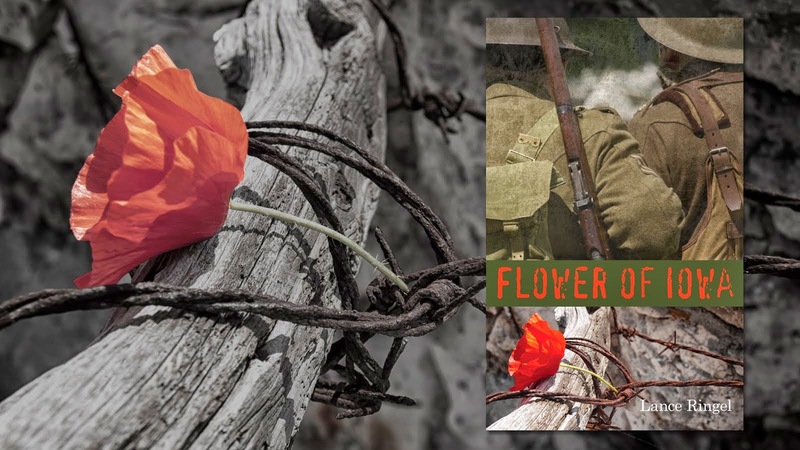 There’s a moment in my World War I novel Flower of Iowa when the title character, American soldier Tommy Flowers, returns to the front after a brief time in England. As familiar places and faces come into view, he reflects that being back in France feels oddly like coming home. On August 8, Flower of Iowa itself finally will be coming home. That’s the evening that Chuck Muckle and I bring our dramatized reading with period music to France for the first time. We will be performing at the Centre LGBT Paris-Île-de-France, a mere two hours’ drive from Rainneville, where Tommy and British soldier David Pearson first meet in the book’s opening chapter. The timing of our event is remarkable: August 8, 1918, was dubbed "the black day of the German Army" by that nation’s Chief of Staff, Erich Ludendorff. 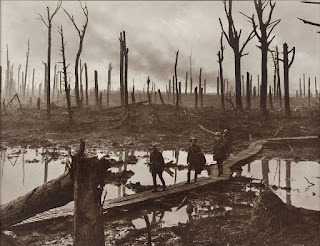 That’s because it marked the beginning of the Battle of Amiens, the offensive which broke through their long-held line – and in which both Tommy and David participate. How appropriate that we will be giving our presentation on the 100th anniversary of that fateful day. The reading is also one of many cultural events scheduled to accompany Gay Games 10, which is bringing more than 10,000 participants from more than 70 countries to the French capital for nine days of competition in dozens of athletic events. 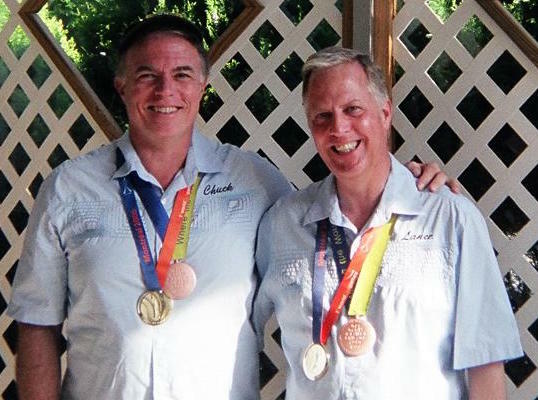 Chuck and I have our own history with the Gay Games; in 2006, we won bronze medals in Chicago, and in 2010, he won a silver medal in Cologne – medals in bowling, of all sports… but that’s another story! The celebration of the Gay Games, the centenary of the events of 1918, and the mere fact of being in France, creates a confluence for our reading that is simply extraordinary. There is something especially fitting about coming full circle to give our presentation in the nation that serves as the primary backdrop of the novel. And it is equally fitting that we are doing so in this, the final year of the Great War Centennial. The reading at the Centre LGBT Paris-Île-de-France marks a culmination of a more than four-year journey. 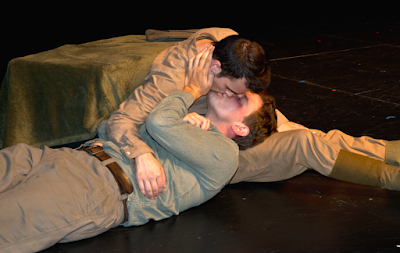 Our path has taken us from such far-flung points as Chicago, home of Tommy’s captain, Billy Sand, to London in David’s native England, and to Ireland in April of 2017, where we opened the International Dublin Gay Theatre Festival. What an amazing journey it continues to be! The Centre LGBT Paris-Île-de-France is located at 63, rue Beaubourg, close to the Centre Pompidou (Metro: Rambuteau or Arts et Métiers). The reading of Flower of Iowa, with period music, will take place at 8:00 p.m. (20h00) on Wednesday, 8 August. Admission is free and the presentation is in English, although Lance is likely to interject a bit of French as well. 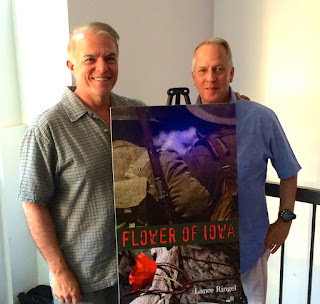 To download the novel Flower of Iowa, Iowa, click here. Greenfield Public Library. Click to Visit. As the observance of the Great War Centennial wheels around to another Veterans Day, I will be offering, with Chuck Muckle, a dramatized reading from my historical novel Flower of Iowa that also features WWI-era music at the Greenfield Public Library in Greenfield, Massachusetts, on Wednesday, November 1. Details are here; the event is free and open to all. 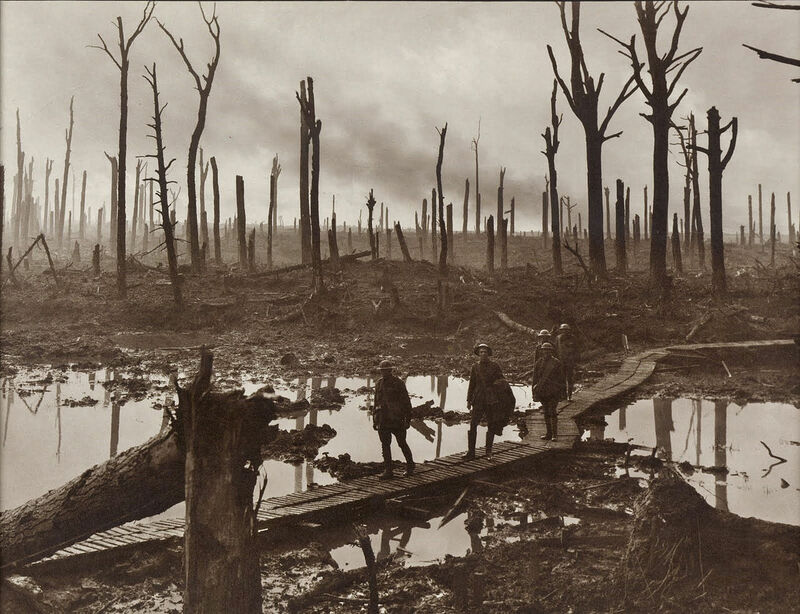 It is, as always, striking to look back at what happened 100 years ago, and discern how very much the First World War is still with us today. In this case, I would like to home in on three events that took place over the course of eight days a century ago. 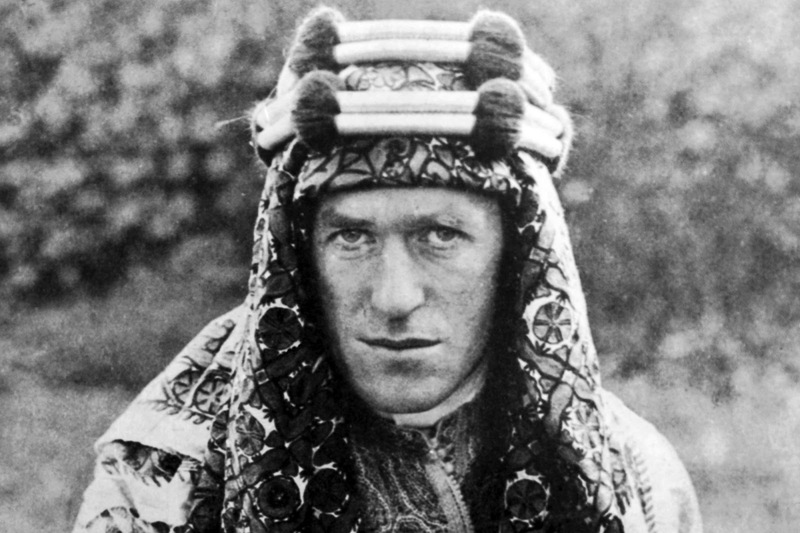 On the 31st of October, 1917, the British began a surprise attack against Turkish defensive lines stretching between Gaza and Beersheba in southern Palestine, aided by a group of fighters led by one T. E. Lawrence — better known to us now as Lawrence of Arabia — who played a key role in the Arab uprising against the Ottoman Turks. 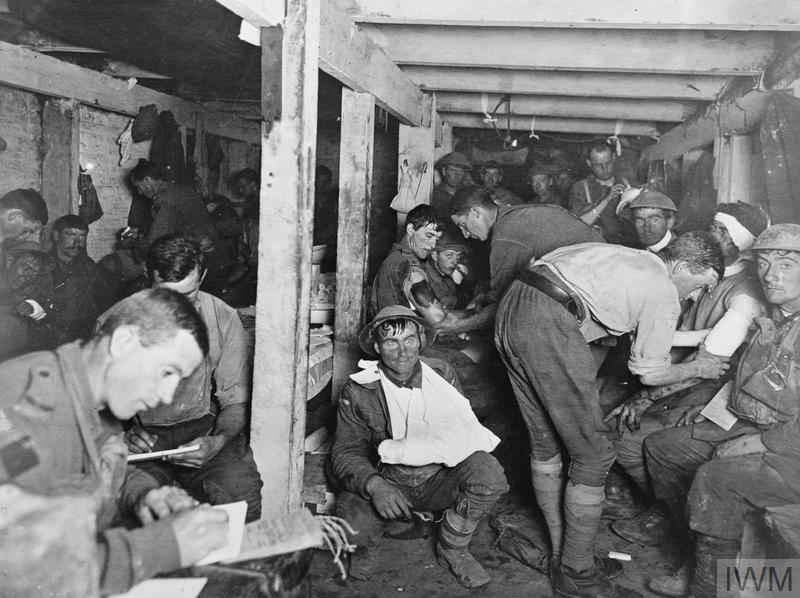 Seven days later, the village of Passchendaele in Belgium was captured by Canadian troops, bringing to an end a months-long battle that had caused 500,000 casualties on both sides, with no significant gains for either. On the other side of Europe, that same evening, the Bolsheviks overthrew the democratic Provisional Government that had been established in Russia after the fall of the Czar earlier in the year, and established a decidedly non-democratic Soviet government based on Marxism. For the characters in Flower of Iowa, these three seemingly disparate events have profound effects. The British/Arab victories in the Middle East, and the decision of Soviet Russia to leave the war, mean that by the time the novel’s lead character, Tommy Flowers, arrives in France in 1918, Germany has been able to throw its full weight into a final offensive in an attempt to rout the Allies on the Western Front. Tommy’s comrade, British soldier David Pearson, who has lost a brother at Passchendaele, is part of the stiff British resistance that has stalled that offensive, and Tommy is part of the American Army that helps to turn the tide in the Allies’ favor — exactly what the German High Command feared, and caused them to throw the dice on the aforementioned offensive in the first place. 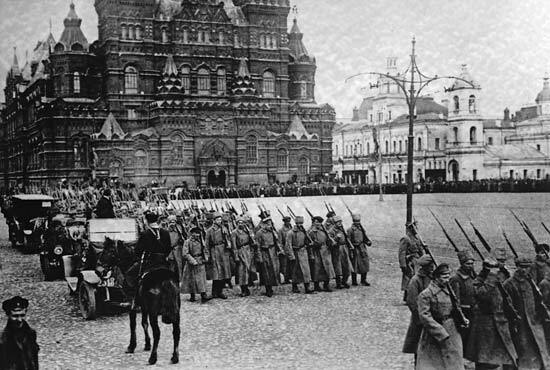 By the same token, all three events continue to echo in our world today, where the unresolved aftershocks of the Arab drive for self-determination are still felt in Gaza and Palestine, and well beyond; where the horrific memory of Passchendaele continues to feed antiwar movements, especially in Europe; and where Vladimir Putin bases his every geopolitical move with the memory of both the Czar and the Bolsheviks ever fresh in his mind. “Living history” may seem like a cliché, but we are indeed still living with the reverberations of the events of those fateful eight days a century ago. Finally, on April 30, we had the extraordinary privilege of giving our dramatized reading from the book to an extremely attentive full house at the venerable Teachers Club on Parnell Square. At the conclusion, we were greeted with two standing ovations. You can read more about this afternoon featuring the “esteemed American author” and his “beautifully told” story(!) by clicking here. As the review notes, we shared billing with an erudite presentation by the Festival’s indefatigable Founder and Artistic Director, Brian Merriman. Any look back at World War I in an Irish setting inevitably reflects the nation’s vexed relationship with a conflict that took place when the entire island, not just the northern part, was still officially a part of Great Britain. Somewhere between 30,000 to 50,000 Irish soldiers died in the Great War (the figure depends on whether or not you count those from the Irish Diaspora who fought and lost their lives in other armies), while the immediate death toll from the Easter Rising of 2016, which took place in the midst of WW1 and ultimately paved the way for an independent Ireland, was about 500. Yet it is the Rising that is looked back upon with reverence in Ireland, while the service of those Irish soldiers is regarded with profound ambivalence. Indeed, such is the deference given the Rising that according to Brian, at last year’s seminar, which observed the centennial of that event much as this year’s was timed for the centennial of the American entry into the First World War, a gay Irishman objected to his identifying notable figures Roger Casement and Padraig Pearse as gay men! As for the Festival itself, Brian and his dedicated squad of volunteers create an annual miracle on the Liffey, producing two weeks of theatre that make a special trip to Ireland each May well worth the while. Chuck and I caught three of this year’s plays, two Irish and one Scottish, and found much to admire in each of them. All in all, our Dublin adventure was a definite high point in the journey of Flower of Iowa, a book that continues to command attention three years after its publication. 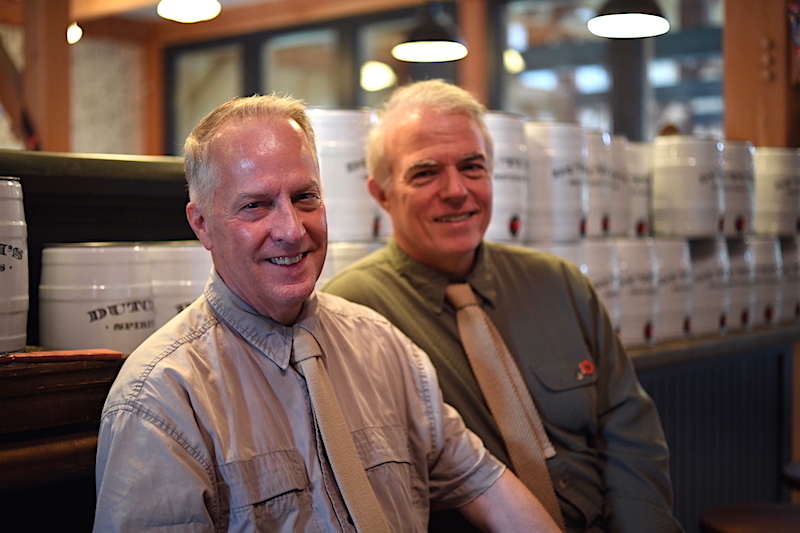 That journey will continue apace on Memorial Day, when Hudson Valley, New York residents and visitors can catch our presentation (including a WW1 sing-along), at Dutch’s Spirits at Harvest Homestead Farm, 98 Ryan Road in Pine Plains, New York. The action starts at 1 p.m. on Monday, May 29. Admission is free, and no advance reservations are required. You can register to attend via Facebook by clicking here. 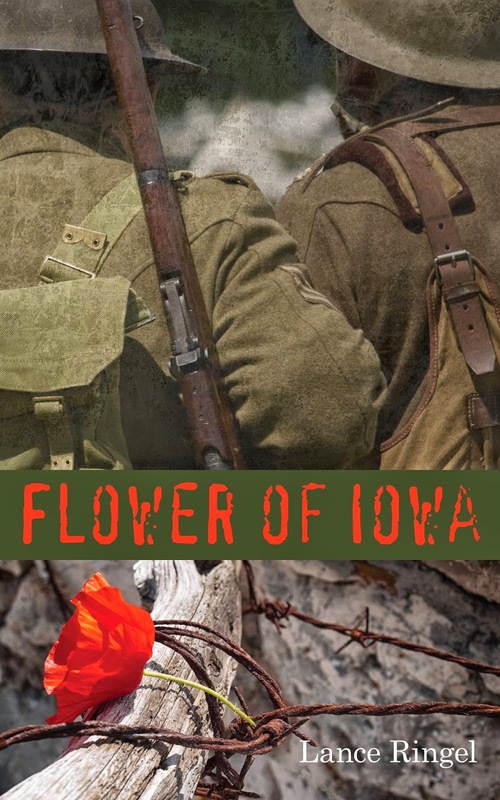 One final note: You can easily download Flower of Iowa for your Kindle by clicking here. To download with iBooks on your Mac or iOS device, and with iTunes on your computer, click here. For Nook users, please click here. © 2014, Lance Ringel. All rights reserved. Simple theme. Powered by Blogger.